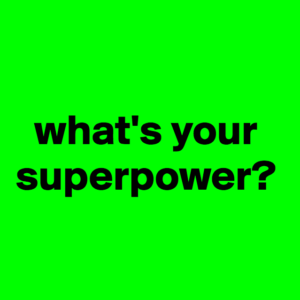 What’s your superpower?, Dave asked the participants of the Reignite your business challenge. I jotted down a few notes, and realized that I am not sure that I know what my superpower is, given that my superpower is likely something that comes so natural to me, something I just do, something I just am, rather than actually know I do/am. So I asked a few well-chosen people, and got some great answers back, mirroring me in the best of ways. What they told me I will be pondering, reflecting and likely write about as well. 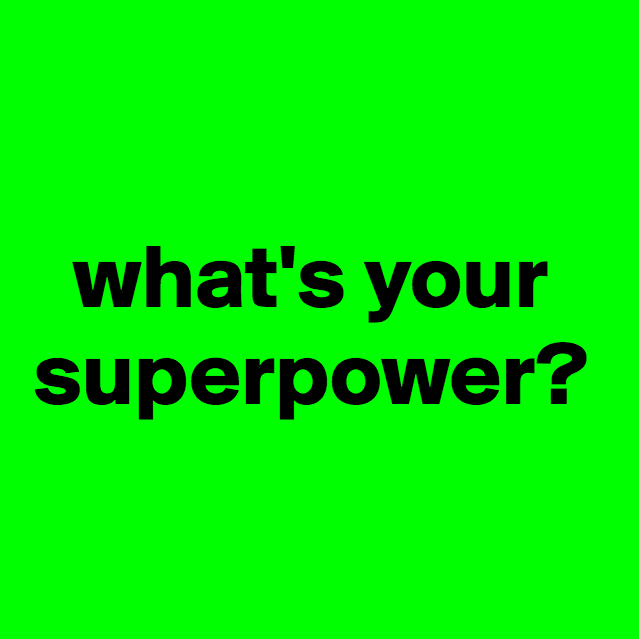 But I am curious though – what’s your superpower? Does the question raise as many follow-up questions for you as it does for me (as apparent from the Facebook Live)? With a little help (or honestly, a huge kick in the behind) from my coach Dave Kibby, I am in the process of reigniting my business. Dave launched a five-day challenge on Facebook, starting today, called Reignite your business. 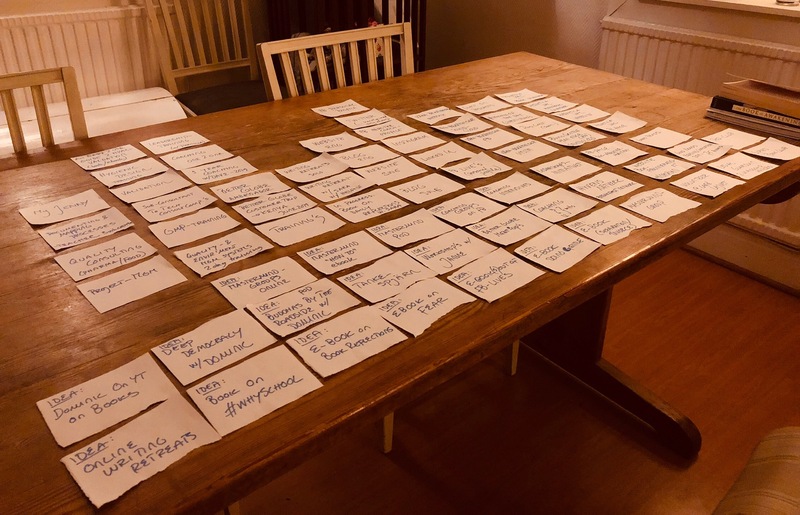 I jumped on it and was thrilled at the assignment for day one: to jot down on post-it’s everything that constitutes my business. We got the assignment last night, and I got on it immediately. I added a few more notes today, and will likely be playing more with this…. regardless of what Dave has up his sleeve as the other four assignments for the challenge! At least a quarter of these notes are ideas for the future, things I want to do, alone as well as together with other people. Some might be turned into form in one way or another, others won’t, but just noticing all that my business holds, feels amazing. Gown off; my intention for the year. Gown off, as in as I am. How will this show up to the world? Well… the year is young, and there’s plenty of time for this to develop in ways unknown to me right now. What I am busy doing though, is making sure that what you see more genuinely reflects me as I am. I want to make sure I show up as I am both in 3D and online, so I am creating congruency between these arenas. Working on updating my website as well as my profile on LinkedIn. But am also using both Instagram and Facebook slightly differently, including my Facebook Live’s. Working on my LinkedIn profile, and so much more with my coach Dave Kibby; it was in a session with him that gown off was revealed to me (us). Had a hoot of a day in a photo session with photographer Anders Roos, to take new photos of me. As I am. 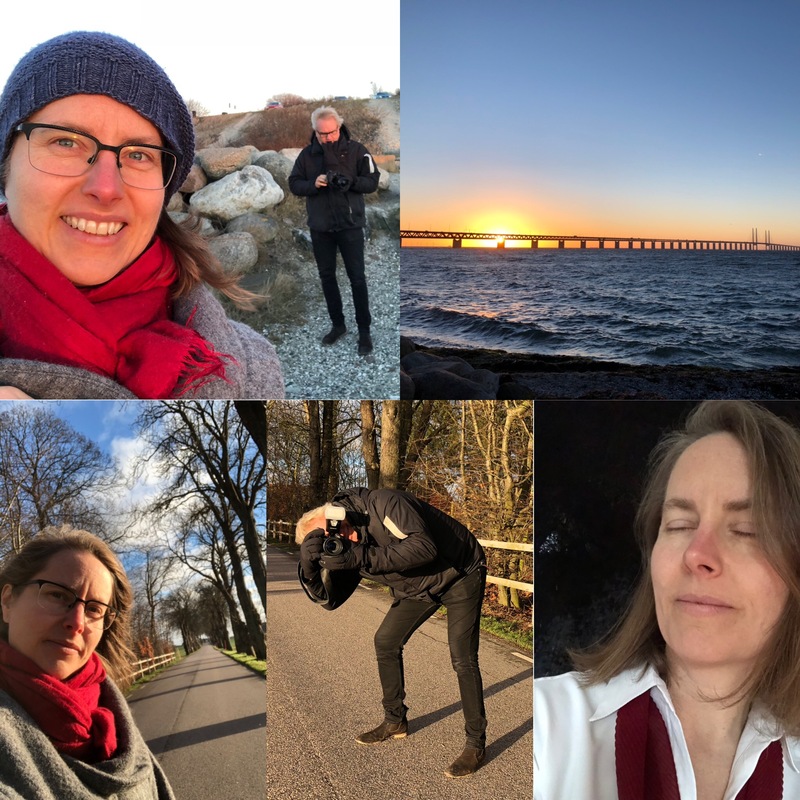 Spent a day cutting my soon-to-be-released podcast together with audio producer Søren Lassen Andreassen, getting raw cuts of twenty-two episodes finished. With musician Olof Jennfors putting the final touches to the soundtrack, I look forward to release my first-ever (own) podcast in a few weeks time! More on that, in due time. Everything for everyone isn’t the best of business ideas, and it’s definitely not mine, as I am also getting much clearer with who I want to work with, separating them from those I can work with. The former is a smaller part of the latter, which means I am narrowing my focus, which feels great! Who I want to work with? You! Given that you are a person who wants to do the work, to change, to expand. You, if you are a person ready to show up in the world as you are. Are you?